Are you ready for the 100 Day challenge? mojo 100: boost motivation. your 100 day challenge. Your motivation and joy (MOJO) are simply too important to leave in someone else’s hands. So own it. We do our best work when we feel unstoppable....pursue goals that excite us....work with colleagues who energise us. 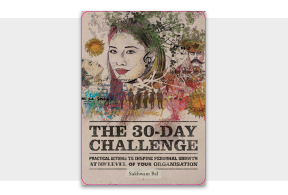 If you want to build your competence and confidence and push past your limitations – then embrace the 100 day challenge. Open your mind and start by completing your Motivation Index. You’ll receive daily video inspirations over the next 100 days. Use MOJO 100 as your personal development guide. If you’re a leader about to initiate big change. Or seeking exceptional performance. Or need to drive faster sales...all of this will require the goodwill and undiluted commitment of your team. MOJO 100 equips you and your team with action-oriented daily inspiration. The emphasis is on self-directed learning. It should not be more work. Just use whatever meetings and one-to-ones you have scheduled – and liberally sprinkle with the MOJO 100 tips and hints. As an employee: what can you expect from MOJO 100? MOJO 100 is a personal development system aimed at employees and leaders, with a clear call to action: turn up each day as the best version of yourself. If you’re not motivated at work – then do something about it. 100 second video clips, over 100 days on how to play your A Game. As a Leader: what can you expect from MOJO 100? 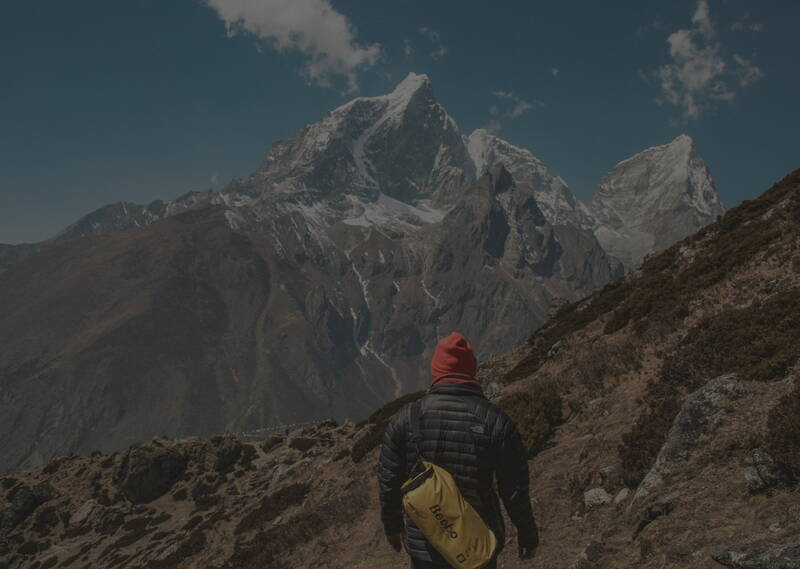 Find your Mount Everest - a few landmark goals which energise you AND make a difference to your customers. Motivation can be woolly, vague and hard to pin-down. So how can you improve something you can't measure? You can address this by taking 10 minutes to complete your Motivation Index. Look back over the last month and rate yourself on the four big dimensions: Commitment, Energy, Competence and Confidence. There is no right score. This questionnaire is confidential to you. You can also access your Virtual Coaches who will guide you to be better this month than last. Customers are not statistics. They're human beings. They have hopes, dreams and needs. If you can figure out their needs better than your competition - you have an edge. So be nosy. Get curious. Obsessive. Get to learn who your customers are and why they do business with you? And how can you make a positive difference to their buying experience - even if you're not in a customer facing role. Are you doing work that makes a difference to your paying customer or supporting colleagues who serve the customer? If you're not - ask yourself why are you doing it? All businesses exist to serve their customers - ideally better than their competitors. If you do this well - profitability will follow. Learn about your customers' buying habits - don't leave it to chance. Don't allow your goals to be drab and uninspiring. Have a hand in shaping a few mouth-watering goals. Define ones that energise and excite you. Engage your Manager and agree a few priorities that will offer great development for you and will help the business deliver on its business plan. Once you've figured out your Mount Everest - plot out how you'll reach the top of the mountain. Put a plan together. Talk it through with a trusted colleague. Figure out the key obstacles and how you'll overcome them. Hand-on-heart what will you find most difficult - now identify small actions you can take? Being busy and being productive are a world apart. What matters is not the number of hours worked, but how productive you are with your time. Manage work or work will manage you. To prevent burn-out put boundaries in place. Know what a reasonable working day is ? then stick to it. We live in a world of distractions. Anyone around the world can sabotage your day with an email and request for information. So learn to manage the distractions. Stay focused on what matters most. Chunk your time so you become more efficient. Limit the amount of time you spend on emails. Your sense of motivation and fulfilment goes through the roof when you can make daily progress on your Mount Everest. So learn when you're most alert and on your game and protect this time for your most important work. Block out time in your diary for thinking and planning. Don't cram your day with wall-to-wall meetings. We feel unstoppable and on a charge when we're motivated. Sure you'll have some good days and bad days - but how do you stack the odds in your favour - so you can boost your motivation for when you need it most? Ditch the old notions of wok-life balance. We are accessible 24/7/365. So it's about working when you want to work and learning how to switch off. Schedule sports and social activities into your routines - fail to do this and work will be the only thing that consumes you. Whatever you want to change - put it into practice. Don't over think it or find reason why it won' work. Simply put it into practice for 5 days and then review what worked and what didn't. And then extend it for another 5 days. This is how to build innovation into your daily routines. All skills and knowledge have a ?sell-by-date?. If you?re not re-inventing yourself.....learning something new each day....expecting more from yourself than anyone else ? then you risk getting left behind. Here's the reality. If you're not investing time in yourself - why should anyone else? Only when you have sought coaching and mentoring.....undertaken projects and tasks that have stretched you.....sought informal feedback on your strengths and gaps from those you trust - and acted on it - should you ask your organisation to invest in you. Don't worry about what's missing - unless it's a show stopper. Instead channel your energy to give full expression to your strengths. Work with the grain. Re-design your role and goals around your strengths. You'll not only achieve more, you'll also find work more fulfilling. Don't leave your career development in others' hands. It's way too important. Put yourself in the driving seat. Use your network and find out where the opportunities are. Tell people what types of challenges and skills development you're seeking. The more you spread the word, the more opportunities will find you. It's called creating your own luck. Even if you're not leading a team or managing others, seek a budding relationship with a few peers. This simply means you create safe place to think aloud. Ask great questions. Be curious. You don't need to give any advice....simply allow you colleagues to arrive at their own solutions. We're always busy, busy, busy. There is no shortage of stuff that needs to get done. So any wonder our personal development gets neglected. We put it on the 'do-later' list. But the time and space rarely presents itself. So get a plan. One that excites you. Get 'out-there' and find those bold challenges. Learn to back yourself and trust in yourself. No matter what you encounter ? know that you have it within yourself to succeed. And if you do fall ? no big deal. Dust yourself down, bag the lessons and come back stronger. At the end of each week, take 10-15 minutes and jot down: your small wins. What you're proud of. How you have stretched yourself. One thing you've learnt. Not only do you heighten your self-awareness, but you cultivate an attitude of gratitude. Next, look at the week ahead. Think through how you'll handle any difficult conversations or tough decisions. Disruption and change are here to stay. It's the world we live in. So how do you stay grounded, balanced and effective when all around you there is change upon more change? The skill is to focus on your attitude and mindset - it's the only think you can control. The skill is to stay calm and carry on - in the eye of the storm. What inner script gets played out when you're under pressure? Do you end up putting yourself down...planting seeds of doubt? Are you your own worst critic? Sometimes the only personal holding us back - is ourselves. But you can change this. Learn to be your own best friend. When tough events land - how do you react? Do you lose your temper? Vent your frustration? Take it out on others? Or do you count to 10, take a deep breath, weigh up your options and rein in your feelings? Whichever strategy you use - will colour the perceptions others have of you....and how effectively you influence them. You don't have to be defined by your past. You are not the same person today, you were 5 years ago. So make peace with yourself. Learn to forgive yourself. If you were hurt in the past, let down, over-looked for promotion - let it go. The only person you're hurting is yourself. If you don?t look after yourself ? then who will? You simply can?t do your best work when you?re running on empty. So build habits and new rituals into your working day that replenish you. When you appreciate someone else, give them a pat-on-the-back and say thank you - you increase your own feel good chemicals. We all have a responsibility to be good team members. So show your appreciation to those colleagues who have helped you out or lent a hand. Don't take their goodwill for granted. Don't attach your happiness to an event. 'When I land that ideal job....get that pay grade...get that promotion - I will be happy.' All you have is now. So find ways you can find joy and fulfilment right here- right now. Focus on one aspect of your role you truly enjoy. You don't have to struggle alone. Sometimes the fastest way to make progress in a matrix organisation is to ask for help. Connect with peers and colleagues from other teams. People do business with people they like. So build your network and ask for others' advice and support. Staying calm in the midst of constant change is a vital life skill to develop. So change your outlook. Spot the opportunities change presents. Build fitness into your daily routine. Talk things through with a trusted colleague. All these things help change your perspective. In a connected world, it pays to bring people together - virtually or physically. Find ways to leverage each others' strengths. Talk candidly about the challenges. Give each other the autonomy to use your judgement in delivering on your commitments. Success after all is a great energiser. It's not just competence and technical skills that make you a high performer. It?s also your attitude, self belief and mindset. How are you working to improve ?all of you? : head, heart and guts? You don't have to buy-in to 'the doom-merchants'. When the going gets tough - you might feel anxious by what you might lose - or feel energised by new doors opening. Change can be liberating and empowering - providing you keep an open mind. We can all make someone's day and put a smile on their face. Even a small gesture of kindness - like holding a door open for someone, buying soup for a homeless person or letting another driver in at a junction - create a positivity for two people. You and the person you helped. No one ever teaches you how to manage your boss - but he or she can have a massive impact on your motivation. So learn more about them - their strengths, their priorities, their values and their pet-hates. You don't have to like your boss - but you do need to respect them. So make the time to discover what you respect in your manager. It's too easy to get stuck in your comfort-zone and do things the way you've always done them. But unless you're re-inventing yourself - you risk being yesterday's person. Don't wait for senior leaders to be the only one driving change. You can team up and start supporting change initiatives locally. And in the process - acquire new skills. You don't have to go on a course to develop yourself. You can do so right here- right now. You can choose to work with a buddy, find yourself a Mentor, take on a few ambitious goals, shadow a peer you respect and learn by observing. Fact is you're the best person to take control of your personal development.